Welcome to the Duffys Forest Residents Association website. The DFRA was formed in 1965 to preserve the natural and unique beauty of Duffys Forest by promoting proper planning of all future developments.It also aims to express the co-coordinated viewpoints of residents to the various authorities both local and state government. Waratah Park, home of Skippy the Bush Kangaroo, currently has a weeding and restoration project lead by the Duffys Forest Residents Association. If you would like to help at the next working bee. All the details are below. Please come along and join an enthusiastic group of volunteers with the ongoing restoration and maintenance of this iconic site. Bring along friends and family to help support the ongoing works to restore the natural environment. Location- Waratah Park @ 13 Namba Road Duffys Forest. Drive through the main gates and proceed to car park. Volunteers meet at the picnic area to sign on. What to bring- Long sleeved shirts and pants, protective footwear, sunhat, gardening gloves, water. If available please bring along small hand tools such as weeders and mattocks. With the support of a $98,000 funding grant from the NSW Environmental Trust, Duffys Forest Residents Association is partnering with the Metropolitan Local Aboriginal Land Council (MLALC) and volunteers toward the ongoing restoration and rehabilitation of Waratah Park. This will be achieved by using funds to engage bush regeneration consultants to help direct and to work alongside volunteers attending our monthly volunteer days. During the project, large areas of rock platform have been uncovered and excavated by hand in the event the ledges contain carvings or grooves. Degraded areas will be revegetated with 5600 native tubestock plantings. This will help to restore and beautify degraded areas of the Park, increase biodiversity and provide additional wildlife habitat. Year two of the grant will see a community awareness event from an Aboriginal Elder on bush tucker and the installation of an educational bush tucker walk. The 13-hectare site is strategically located at the top of Cowan Creek catchment adjoining Ku-ring-gai Chase National Park. 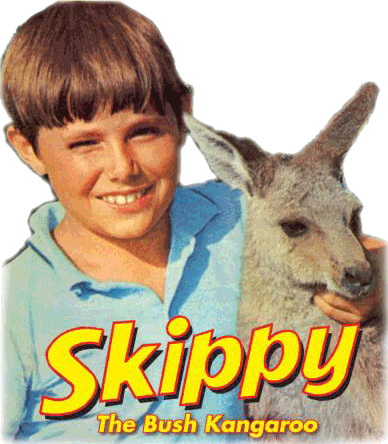 As home to the TV series "Skippy" the site became recognized nationally and internationally for its iconic embodiment of Australia’s unique wildlife and landscape. In recognition of the significant environmental, heritage and cultural values, Waratah Park was listed on the NSW Heritage Register in 2015. Restoration of the Park as a nature reserve would offering educational opportunities for children from all backgrounds and a place where Aboriginal people can reconnect to country and non-indigenous people can learn about the culture of Australia’s first people. Participating in the project is an opportunity to do something positive for your local environment and community and to reconnect with nature. The project aims to inspire, educate and recruit Australians to actively care for our unique land and create future generations of committed environmental custodians.